Home ❯ Swing Sets ❯ Deluxe Playcenter AMPED UP! Time to accelerate your heart rate with the Playground One Deluxe Playcenter Amped Up!! With the Extreme Super Ride Slide from the attached Loft and a 10.5ft high swing beam, you can raise the swings to touch the sky. 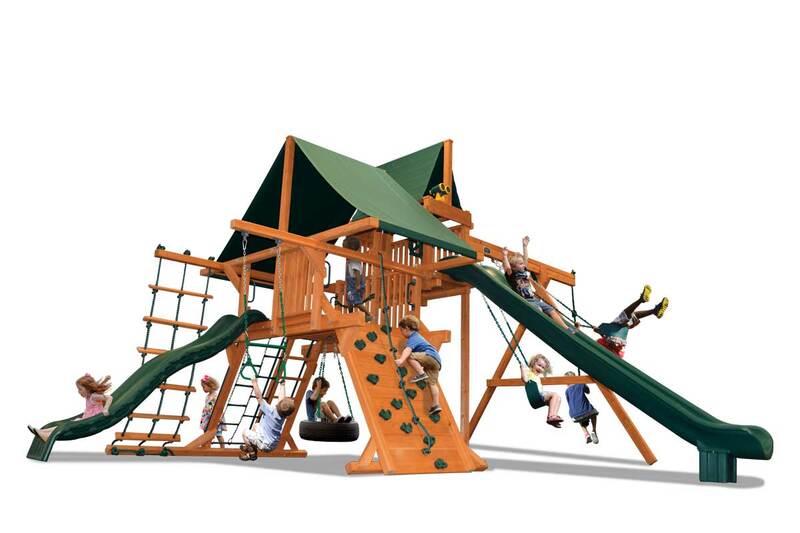 Take your playset to the next level with the Playground One Deluxe Playcenter Amped Up! !